Browse Charvel | Musical Instruments | GAK. 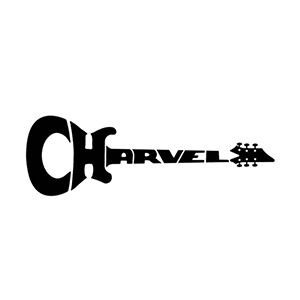 Charvel was established in the 1970's in California, building high-quality electric guitars Charvel's were popularised in the 1980's thanks to their association with a number of famous rock and metal guitarists including Jake E. Lee, Van Halen, Vinnie Vincent and more. Here at GAK, we have a large number of Charvel models including the Pro-Mod Series and high-end Artist Series. We have on-site Charvel specialists in our guitar department so if you have any inquiries regarding Charvel products, please don't hesitate in contacting us on 01273 665 400. Throwback to the Charvel "Model 88"
The perfect modern rock guitar. Crafted in the USA from the finest materials and hardware it is everything you need and nothing you do not. One of the most eagerly awaited guitars in a long time! A signature bolt-on singlecut modded to the max! (ex-display) guitar has some dings on body (see pictures) overall good condition, missing trem arm. (B-Stock) guitar has few light surface marks and some buckle rash on back of body, overall very good condition.